Showman™ Belt Style One Ear Headstall with Alligator print. 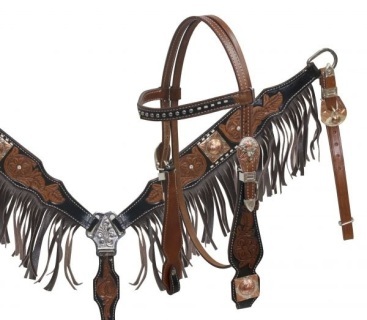 This headstall has the style of a western belt. 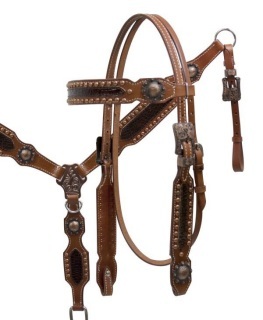 Single belt strap with one ear loop. Headstall adjust on right side with large antique belt buckle hardware which is engraved and accented with small studs. 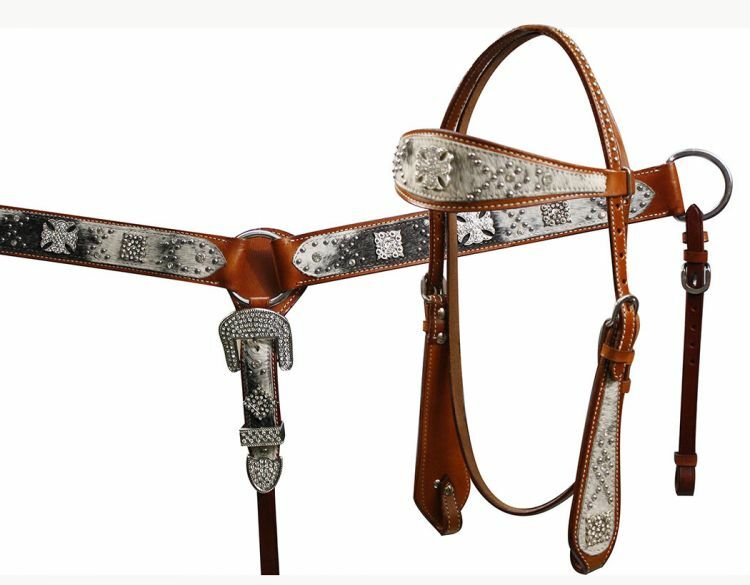 Bit screws feature small silver engraved concho. Strap features alligator print with small studs. Made by Showman™ products. Showman® Double Stiched Leather Headstall and Breast Collar with Alligator print and Copper Hardware. 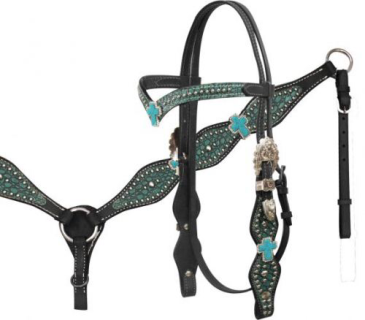 This headstall and breast collar set features double stitched medium oiled leather with a dark multi colored alligator print overlay accented with copper colored studs and rosette conchos. 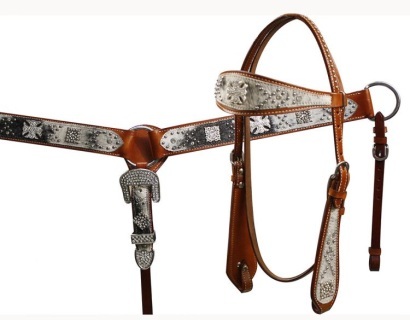 Engraved buckles and hardware give this set a vintage look. 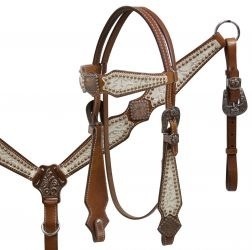 Headstall comes with 5/8" x 7' leather split reins. 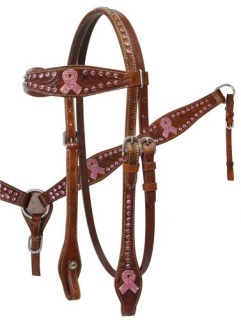 Made by Showman® products.